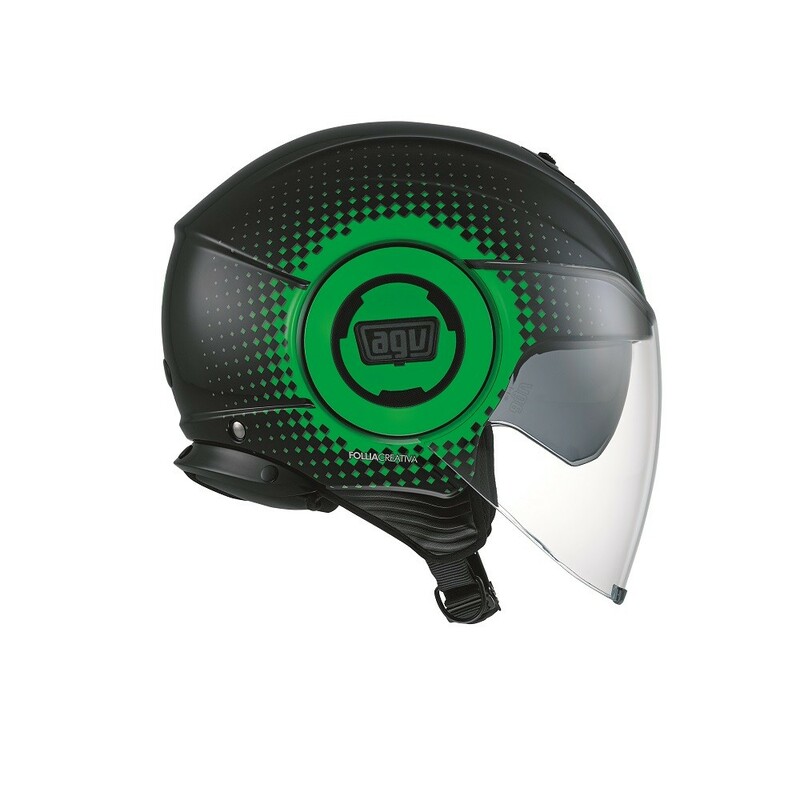 The Fluid Pix is a new model of open face helmets from AGV. 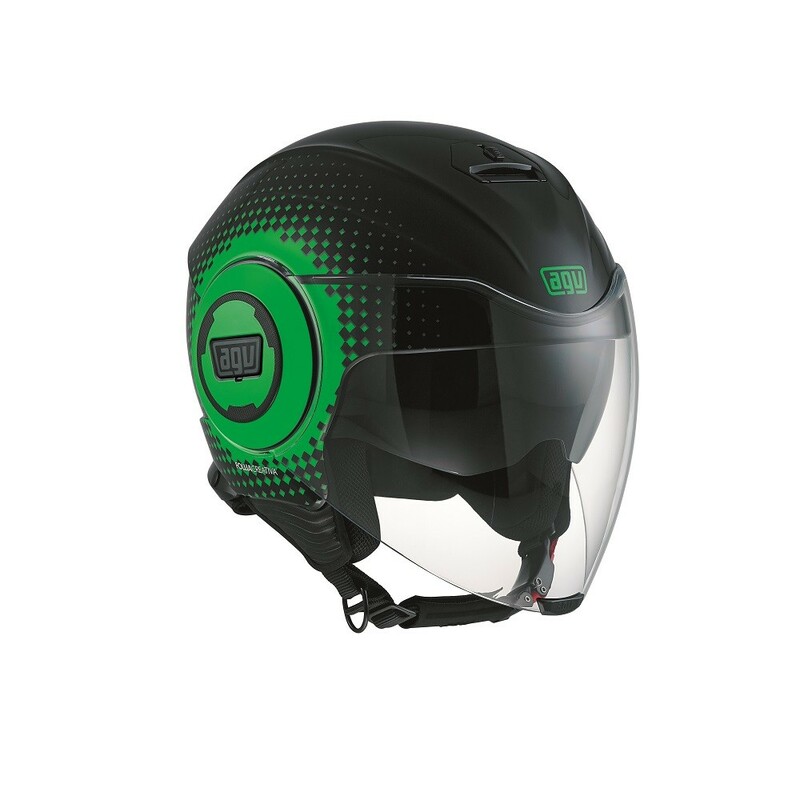 This helmet offers the best in safety, comfort and style - everything you need on an open face helmet. Shell and EPS dimensions optimized using FEM (Finite Elements Method) analysis. New SUN VISOR CONTROL mechanism for operating sun visor. The visor is operated by turning the plate on the left side of the helmet.